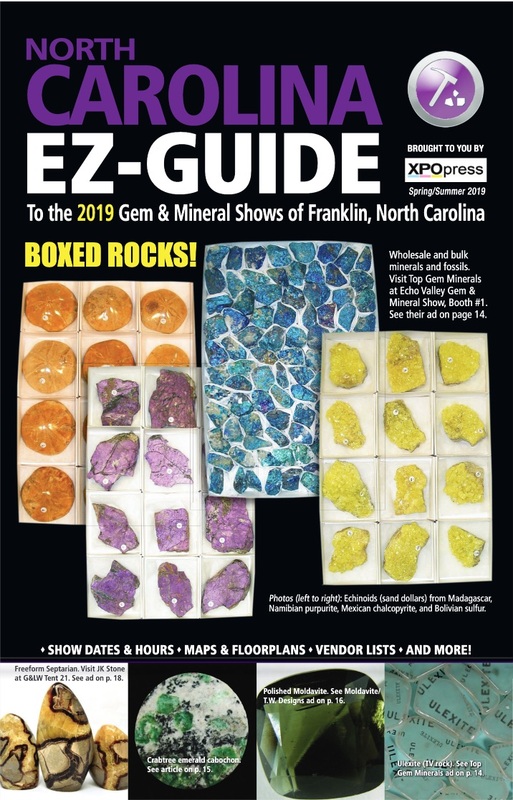 Xpo Press publishes 12 gem show guides for a combined 126,000 annual circulation! 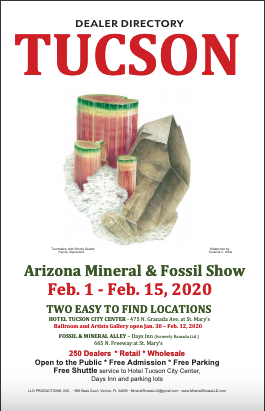 When buyers come to a gem show they expect a printed show guide to help them navigate the shows and to provide information about the show dates and hours, floorplans and vendors. This is where Xpo Press steps in. 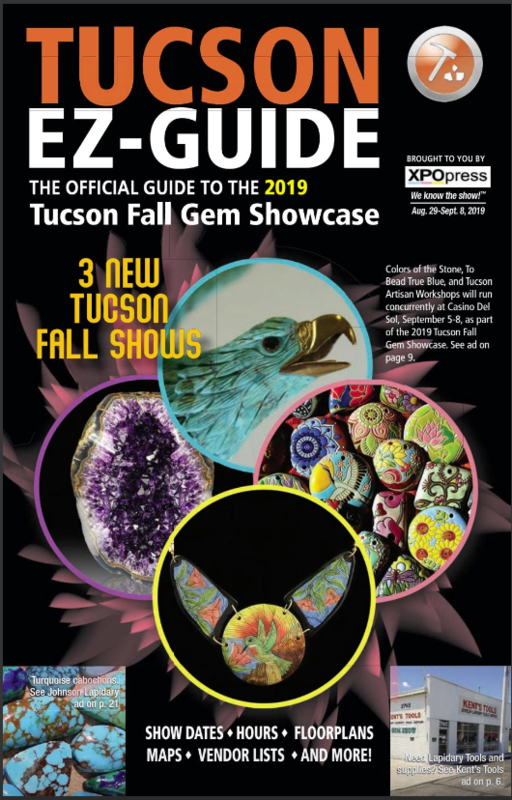 We publish high-quality, full-color gem show guides to assist not only the show attendee but also to provide effective advertising opportunities for shows, vendors and local businesses. 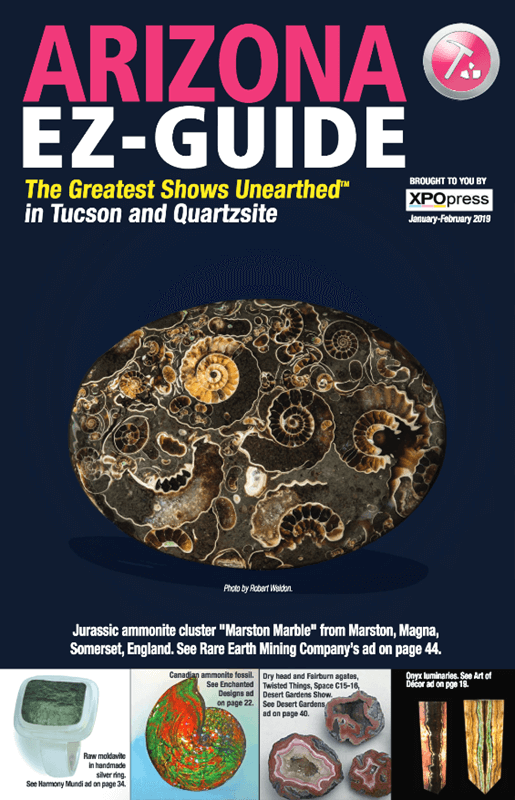 Your company may reserve ad space in nearly any of the gem show guides that Xpo Press publishes. 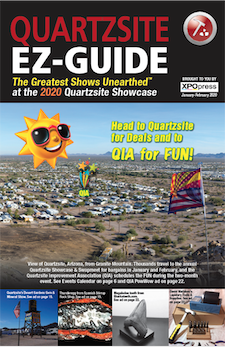 The trim size and specifications for each guide are the same, so if you reserve an ad in one guide, the same ad can be placed in any other guide without having to redesign or resize your ad. 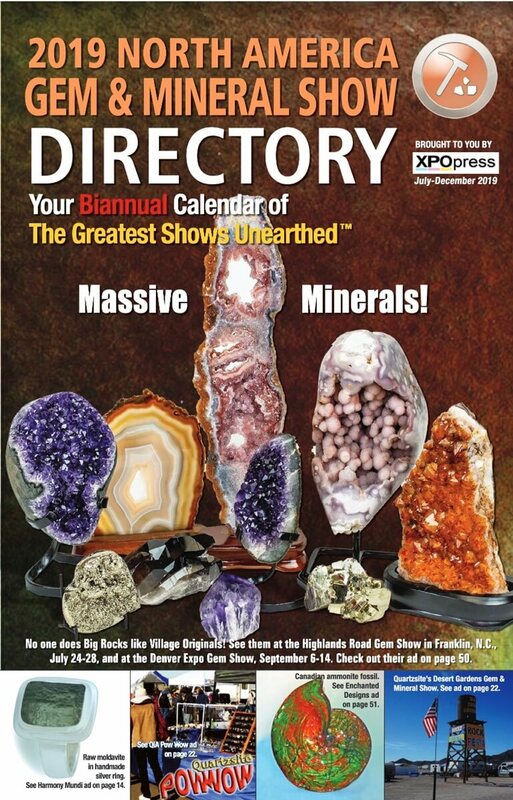 And Xpo Press offers up to 50% off your entire ad cost with special discounts! 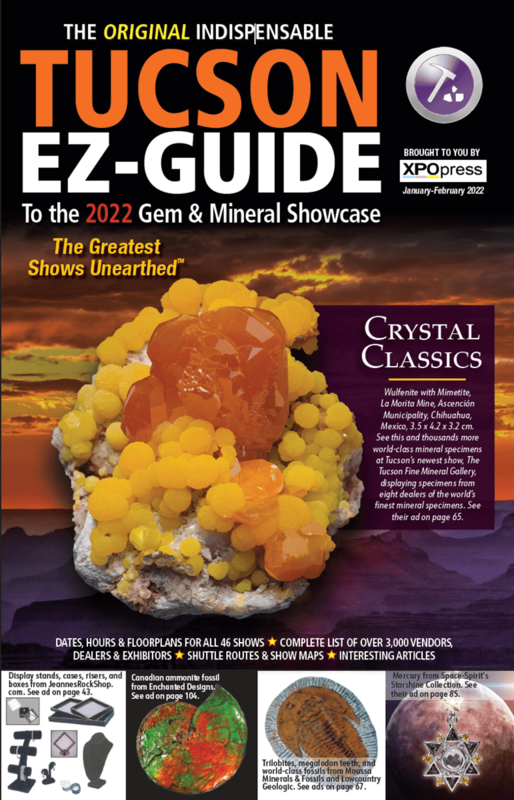 No publisher in the world offers this type of advertising opportunity to reach so many gem, mineral, fossil, and jewelry enthusiasts and buyers. 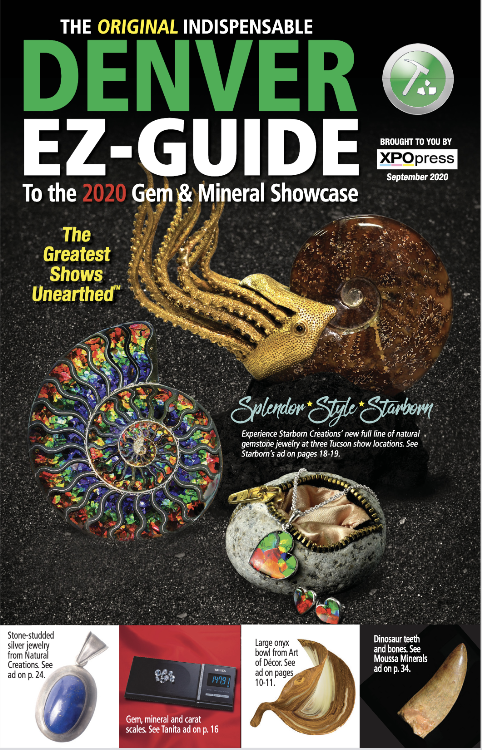 Email Xpo Press to to discuss how we might help you strategize your gem show advertising strategy. 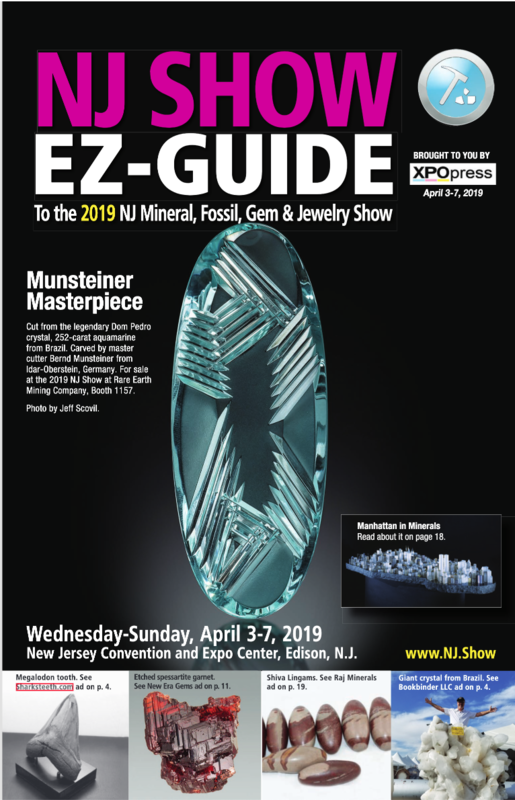 ⇒107,500 distributed at top gem and mineral shows and showcases in the U.S.A. — Tucson, Denver, NJ Show (Edison, NJ), Quartzsite (AZ), Franklin (NC), East Coast Show in West Springfield (MA), and West Coast Show in Santa Ana (CA). ⇒19,500 inserted in the Wall Street Journal and distributed to regional subscribers with an average household net worth of $3.7M. 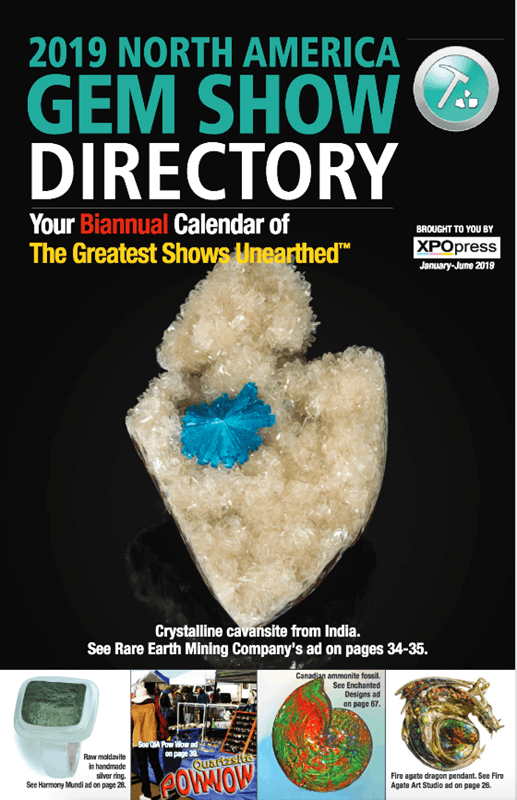 These inserts connect our advertisers with the world's most powerful business leaders, active investors, and affluent luxury consumers who are known to make investment purchases of jewelry, gold, minerals, and high-end home decor products.